This week we met up with Alex Ryerson in the Tribeca area of Manhattan. After warming up at Pier 25, we went over to monkey ledges where Alex put together a dope little line for C.O.W. 20. Make sure to like the video and subscribe to our channel to see all of our videos first. I Roll NY and Wheels In Motion are hosting the New York City premiere of Valo V. Valo team riders Brandon Smith, Victor Arias, and Ivan Narez will be in attendance and will be joining in on a session after the premiere. Train Directions: F train to 2nd avenue / 6 train to Bleecker street / B, D, or M trains to Broadway – Laffayette. 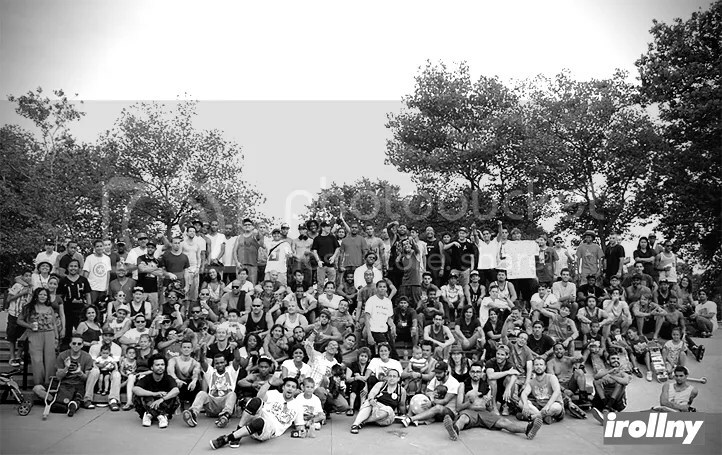 On Sunday, July 21, 2013 bladers from all over New York, New Jersey, Boston, Pennsylvania and more locations came out to show their respect and support to Alex Nunez and his family. 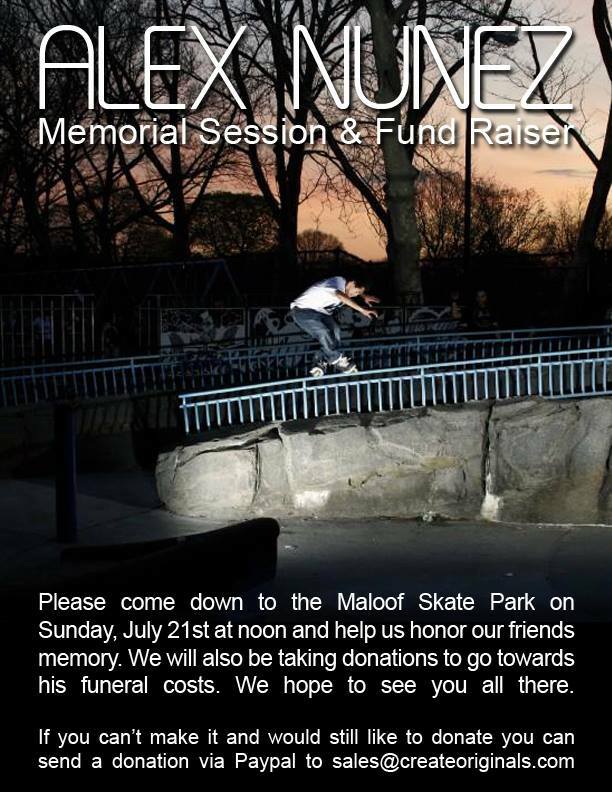 Whether it was through a personal friendship, or through inspiring bladers through his skating, Alex impacted many lives. Below are a few photos capturing some of the skating from Alex’s memorial session. Featuring skating from Oliver Gomez, Rafael Herrera, Fabio Enes, Pablo Munoz, Carly Sanchez, Jesus Medina, John Manuel, and many more. “Breaking in my new Jeph Howard SL’s and shirt I designed at my local park. Thanks to Razors for everything they do for me and all the opportunities!” – Stefan Brandow. Thanks to Stefan for always showing love to I Roll NY and rocking his limited edition New York Rollers snapback. Yesterday we met up with Fabio Enes at Penn Station after he was done with class. We decided to warm up at one of New York City’s OG triple OG spots before heading out. Thanks to James Perez for organizing the session. Make sure to like the video and subscribe to our channel to see all of our videos first.